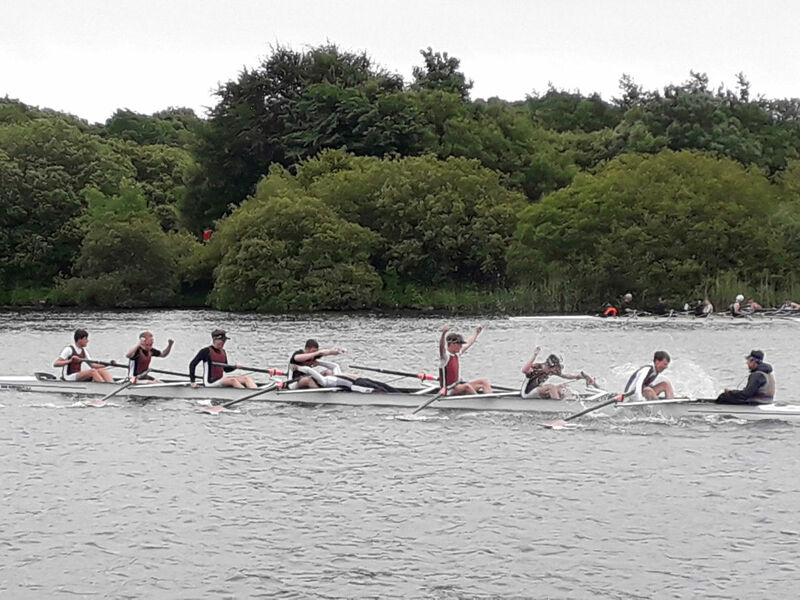 CIRC had a hugely successful day on their home river, on Sunday the 17th of June, with a total of 56 of the silver crossed-oar pins (awarded in this Regatta instead of Gold Medals) being brought back to the clubhouse. 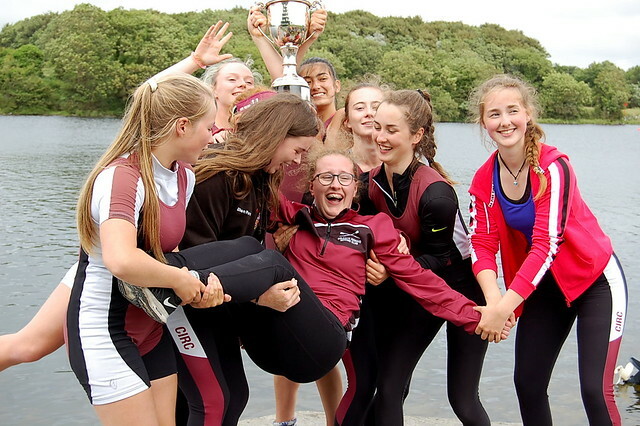 Colaiste Iognaid Rowing Club i.e Jes Rowing Club had a very successful day at Galway Regatta winning three eights events including the famous Anderson Trophy for Junior 18 Mens eights and the Jes Girls crews won the Junior 18 Eights. The Girls Junior 18 Eights were: Aoibheann Mc Phillips (Cox), Isabella Gannon (Stk), Elise Carney Frazier, Caoileann Nic Donncha, Ciara Walsh, Roisin Gavin, Roisin McGrath, Ellen Forde and Hazel McNamara (Bow). The Junior 16 Eight were: Aoibhinn Mc Phillips (Cox), Isabella Gannon (Stk), Elise Carney Frazier, Ellen Ford, Amy O’Gorman, Kate Hume, Lanah Acton, Emma Ryder and Rachel Dempsey (Bow). The Jes Scullers won the Women's Junior 18 in Caoileann Nic Donncha, Junior 16 in Amy O’Gorman and Junior 15 in Kate Hume. In addition the Jes Boys won the Junior 18 Men's coxed four. They were: Niall Martin (Cox), Sam Reidy (Stk), Mark Ryder, Caoimhin Conway and Thomas Hume (Bow) and the Junior 14 Double Scull with Tom Maye and Felix O’Neill. Under 14 crew Aoibhinn Mc Phillips (Cox), Molly Molloy (Stk), Ella O’Flynn, Caoimhe Thornton and Emma Madden. Under 15 crew Sarah Trench and Charlotte Conneely. This was great result for the Jes Rowing and is a tribute to all rowers, coaches and supporters with thirteen outright events won. Special thanks to Deirdre Lydon, Colette Gill, and Gavin Kelly, who were on hand to take photos on the day. See all their photos by clicking on the image, below.